Newly renovated May 2017! 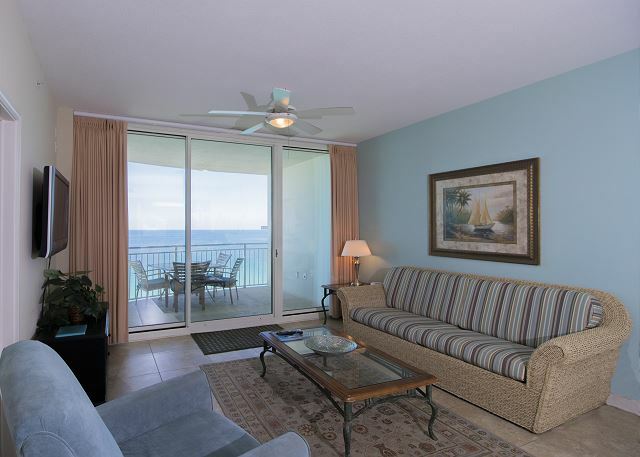 - Make your vacation dreams come true in this 16th floor, 1 bedroom / 2 bath Aqua condominium with bonus bunk room. 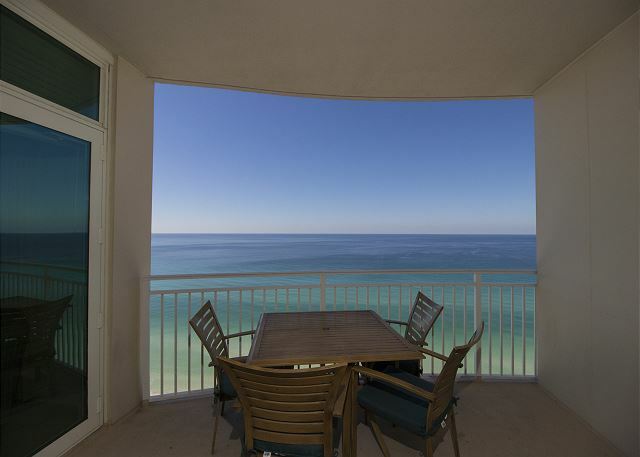 This gorgeous 16th floor unit offers panoramic views of the gulf from the completely private balcony. You’ll see dolphins and sea turtles swimming in the crystal clear aqua waters while sipping your morning coffee. Watch the lovely sunsets over the pier while enjoying your evening beverage. Because it is on an upper floor, 1606 is a peaceful sanctuary away from the activity of the pools and beach below. 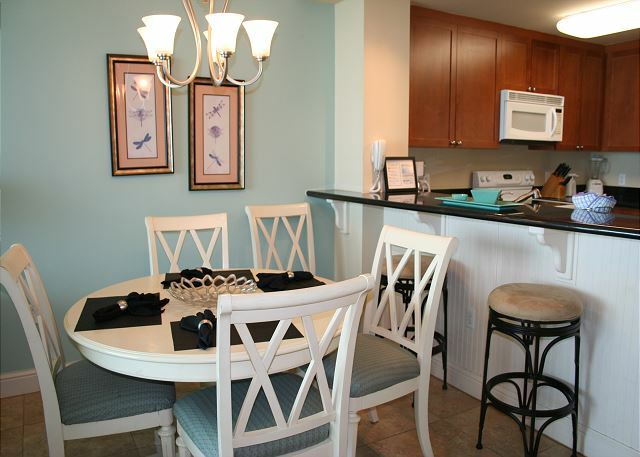 This little gem is the most affordable of the Aqua condos. Yet, because it has two full bathrooms, a sleeper sofa, and bonus bunk room in addition to the fantastic master bedroom suite, it can comfortably accommodate a couple or an entire family.
. Just grab a book, an ice cold beverage, and you’re ready for your day at the beach! The Gulf-front master bedroom is furnished with a top-of-the-line king sized mattress and linens to ensure a luxurious night’s sleep. You’ll also have your own separate entrance to the balcony and 42” flat screen television. The spacious master bath includes a separate glass enclosed shower, garden soaking tub, generous closet space and a double vanity. Designed with family comfort in mind, the bonus room offers two bunk beds with its own 15” LCD TV and DVD player and is adjacent to a second full bath with tub/shower. 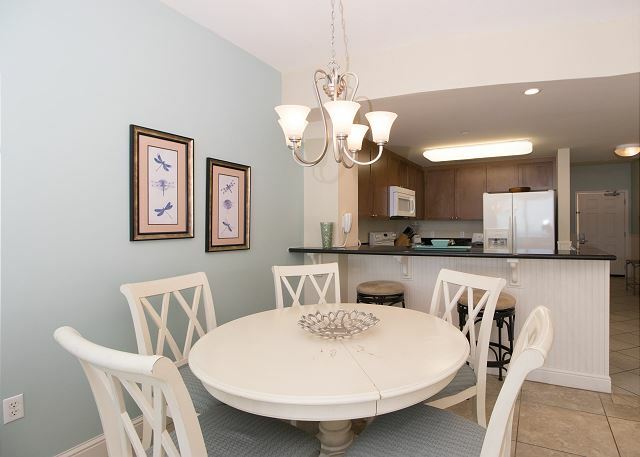 1606 was upgraded in 2012 with beautiful tile floors throughout and crisp white bead board paneling. The tropical colors and soothing decor inspire relaxation with a 42” flat screen TV with DVD, DVD library. Complimentary WiFi is provided as well. We spent several months in 1606. Overall we had a great experience. We appreciated and loved the tile flooring throughout and a very well stocked kitchen. The unit was very clean. The staff at Aqua (Debbie, Heather, Dennis and Chris) as always were great. And did everything to tend to our needs. The unit does need some updating. The dining room table is peeling and the living room furniture is mismatched, chipped and the sofa is old and uncomfortable. The bedding in the master bedroom does need to be replaced. Any broken pictures should be removed not re-hung on the wall. The only lamp in the bunk room was also broken when we arrived. We have stayed at Aqua several times and love it. This was the first time we stayed in 1606 and where it was nice, it was very frustrating to find at bedtime the couch bed was broken and 2 of our 4 kids had no place to sleep. So finally after not getting a goodnight rest that first night, the office let us use an air mattress. No one offered any type of compensation, as an air mattress was not what we reserved. A wall picture at some point had been knocked off the wall as the frame was broke, mold in the master shower, towel rack in the master bath was broke, and the coffee pot over flowed every morning. I will never reserve this condo needs serious updating. The front office staff and maintenance guy was friendly. We had an amazing stay on Panama City!! Aqua Condos is a great place to stay. Our condo was perfect. Clean and well stocked with all of the kitchen necessities. Will be back next year for sure!! We had an issue with the tv called and it was fixed right away. Awesome week in Panama City!! 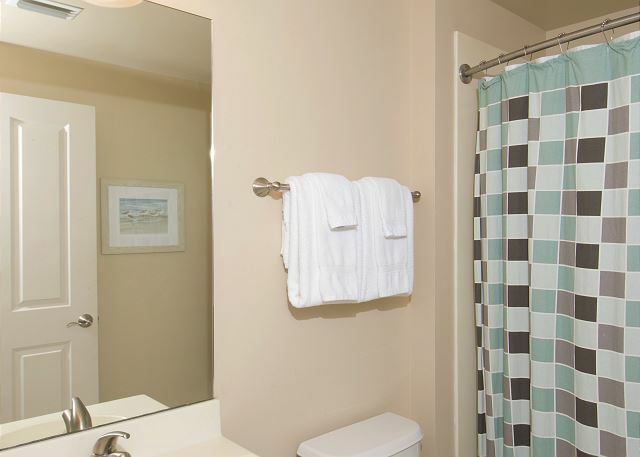 Very nice, clean and affordable, I have stayed here for several yrs now and love it. The staff is great, friendly and always there to help. 24hr. Security no problems at all clean and very nice. We have stayed at the Aqua resort numerous winters and in 1606 in particular. We love the all-tile floors and the dcor in general. Debbie Harris and Heather have always been very pleasant and helpful making our stay enjoyable. Aqua is a very nice property. I have stayed there several times over the past 4 or 5 years. The rooms are always nicely furnished and well maintained. A very spacious condo with large bedroom and ensuite bath, all tile floors, with bonus bunk room with second bath. Nicely decorated and clean.